Chef Kris Yenbamroong's summer dish - koi tuna or Thai ceviche. 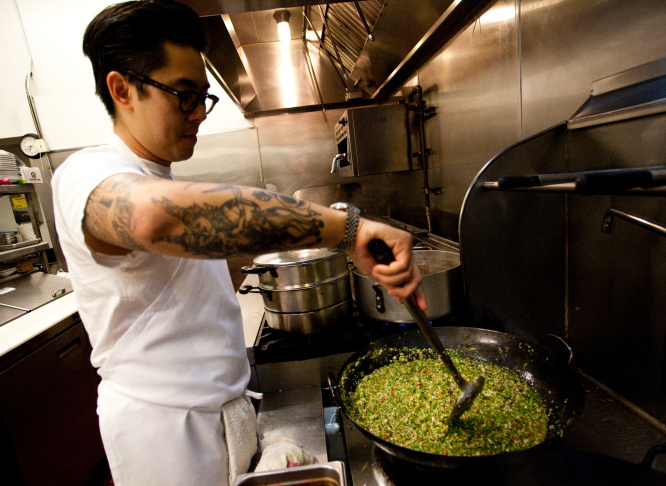 From scratch: Chef Kris Yenbamroong cooks chilis in the kitchen of Night + Market on Sunset in West Hollywood. 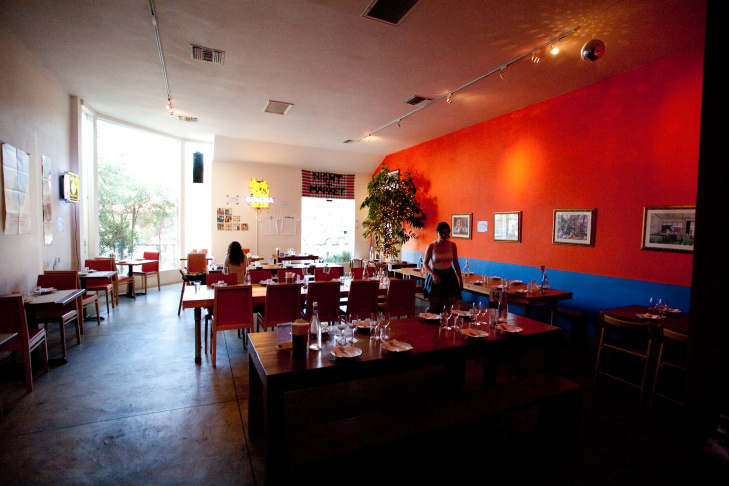 The humble interior of Night + Market on sunset before service starts. This is the first in our series on summer dishes in Los Angeles. Listen to Take Two for more recipes on summertime eating in the coming weeks. "It's like Thai hick food," says Night + Market chef Kris Yenbamroong about his favorite summer dish, koi tuna. 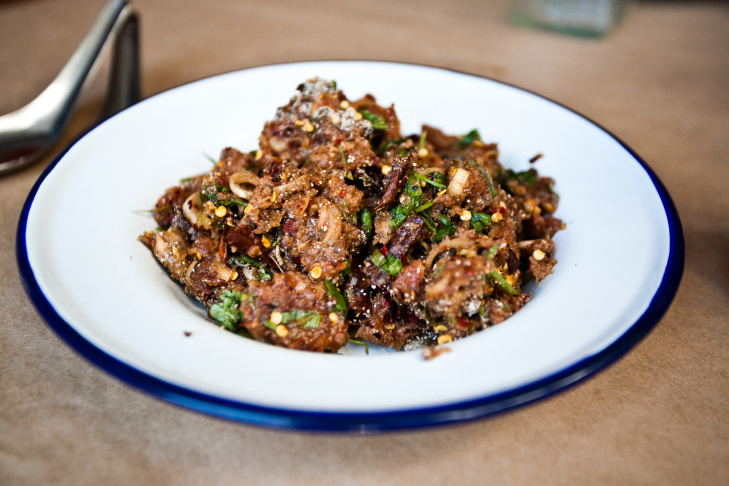 It's a mix of fresh tuna with fish sauce, sugar, chili and other pungeant ingredients, making it stinky, spicy, salty and sour. It won't cool you down during a hot summer's day, but Yenbamroong likes to embrace the sweat. If you don't have a chance to join Kris for Dine LA, where he'll be serving the dish at his restaurant Night + Market in West Hollywood, you'll have a chance to make it yourself using the recipe below. When you make this at home, make sure to mind the process. The layering of ingredients is important in Thai food, according to Yenbamroong. The sweet and savory base provided by the sugar and fish sauce is accented by the sour of the lime and topped with little bursts of heat in the roughly chopped birds eye chilis. Pair it with warm coconut rice and an extra cold bud light or a light Beerlao. Serve with warm coconut rice and a cold bud light or light beerlao. Night + Market is located at 9041 Sunset Blvd, West Hollywood, CA 90069. They're also participating in Dine LA - where you can pick up freshly made koi tuna, not found on their normal menu.